Ourania Kay will present at the 11th Athens Exclusive Designers Week her collection 'sTigma' for fall/winter 2012/2012 on Monday the 19th of March. It is her 4th time she is participation at this fashion week. 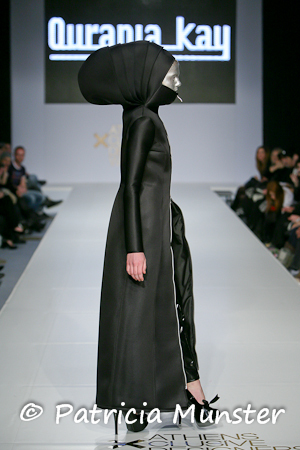 The first time in 2010 Ourania Kay participated as new designer and winning the award of Best Catwalk with her collection 'Urgent Cases'. In March 2011 she presented her fall-winter 2011-2012 collection 'Illusions'. To see more of this collection fall-winter 2011-2012, click here. And in October 2011 her spring-summer 2012 collection "le montAge du nuAge"
Click here to see a glimpse of her collection spring-summer 2012.